Welcome to the website of the Salford Social Prescribing Hub! The Salford Social Prescribing Hub exists to make social prescribing work best for people and communities by putting the person and their needs at the centre of the process. Given that social prescribing now fits firmly in the NHS personalised care agenda, we wish to ensure that social prescribing processes and services are meaningful, useful and right for this person at this particular time. 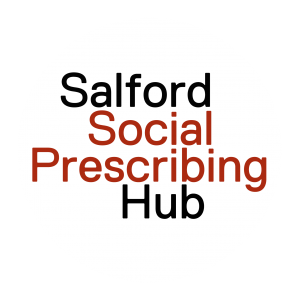 The Salford Social Prescribing Hub is based at the University of Salford – mainly in the School of Health & Society, and linking with work across the university. We come from a variety of disciplines – Nursing, Occupational Therapy, Education, Housing & Social Policy – and work with a variety of community partners & organisations to help ensure our work has the widest relevance. Of particular interest to us is supporting those with deeply complex needs, and ensuring that social prescribing services cater for those with complex needs who may have barriers or feel resistant to a social prescription. We are also deeply committed to addressing health inequalities – e.g. as set out in the Marmot Review (see other key docs on the resources page). Social prescribing is being carried out in a variety of ways and models. The Salford Social Prescribing Hub exists to bring a solid theoretical underpinning to social prescribing practice, to produce tools and resources that will be of practical use, and to share our expertise in the form of training or evaluation – see examples here. Our Hub is also connected to and represented at a number of strategic bodies and steering groups at local and national levels. We’re building this website as we go, and we’ll share our Hub’s progress on our news section – as well as on Twitter (@SalfordSPx). We also run a Facebook group – SocialPrescribing4OT – for links between Occupational Therapy and social prescribing. Please don’t hesitate to contact us with any thoughts or ideas, or sign up for our newsletter for monthly updates. 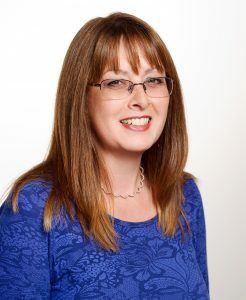 Michelle is a Senior Lecturer in Nursing at the University of Salford and Deputy Director for PGR (Progressions and training). 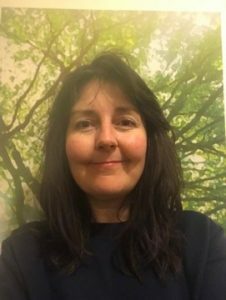 Michelle has a specialist interest in social prescribing and the use of nature-based, person-centred approaches to promote health and wellbeing. 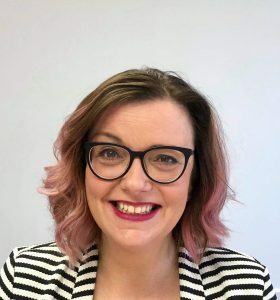 Michelle leads the National Social Prescribing Network Special Interest Group for Nursing through which she is actively campaigning to raise awareness of social prescribing amongst nurses through research, curriculum development and placement opportunities. Michelle is a member of the Social Prescribing Network (SPN) Steering Group and the Greater Manchester Social Prescribing Steering group. Sarah is an HCPC Registered Occupational Therapist, graduating in 1991. Sarah has worked in clinical practice, service management and education in voluntary, private and statutory provision. Sarah joined the University of Salford in 2003, as a Lecturer before being promoted to Senior Lecturer. Sarah is a Senior Fellow of the Higher Education Academy, a two time holder of the Vice Chancellor’s Distinguished Teaching award, and recipient of the Royal College of Occupational Therapists Merit Award (2018). Sarah is a founder member of Online Technology for Occupational Therapy (OT4OT), now recognised by the World Federation of Occupational Therapists (WFOT) as an International Advisory Group for Social Media. She is also a co-developer of Occubuzz, a digital self-management tool that aims to enable users to manage their wellbeing by making choices about what they do, based on how they feel. 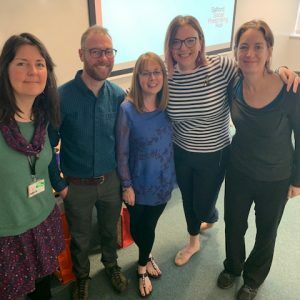 More recently, Sarah has been working with the Salford Integrated Social Prescribing Hub and is keep to explore the relationship between occupational science and social prescribing outcomes. 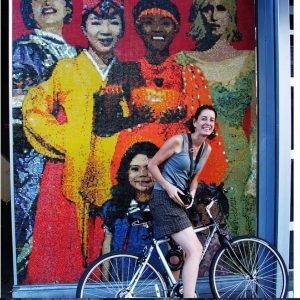 Andrea is an Urban Planner and Geographer with experience in the US and the UK as a popular educator and community organizer on environmental and economic justice issues. She is currently a researcher in the Sustainable Housing and Urban Studies Unit (SHUSU) and a teaching fellow in Social Policy at the University of Salford on housing, homelessness and health, with an interest in urban ecosystems, social movement and the everyday ways that people work to shape their lives and environments at the intersections of race, class and gender. She is an editor of the journal City, and author of City of Segregation: 100 Years of Struggle for Just Housing in Los Angeles. 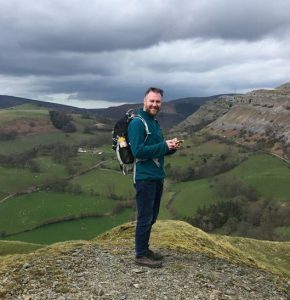 Cormac is a Research Fellow in the School of Health & Society, and is coordinating the development of the Salford Social Prescribing Hub. He has a strong interest in community-based work, including previous work with the charity Radio Regen supporting community radio stations to develop projects in employability and health, and helping to run a horticultural learning centre in East Manchester. He was previously based in the University of Manchester where he completed his PhD on open educational communities, and lectured and researched in the field of communication and educational technologies. Rachel Martin is a HCPC registered occupational therapist with a background in mental health and learning disabilities. Rachel joined the University in 1993, she is a Senior Lecturer and Fellow of the Higher Education Academy and has a Masters in Sociology. Rachel has expertise in the impact of good work on health and wellbeing and the facilitation of employment or other meaningful occupation, within routine health care practice. This work has led to an interest in how social prescribing can support a person’s engagement in meaningful occupation and to the formation of the Salford Integrated Social Prescribing Hub. She is working with Cormac and Sarah on the development of a tool to support social prescription practice. In addition to the core team, we also have a steering group, to have strategic oversight of the work of the Hub. The steering group is composed of people from different organisations and sectors, in order to ensure that the Hub is representative of and relevant to the widest possible spread of the social prescribing community.